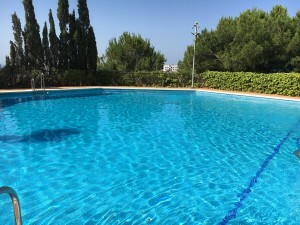 A well presented 4 bedroom, 2.5 bathroom mature, detached villa set in an elevated position on the outskirts of Fuengirola benefiting from open views. 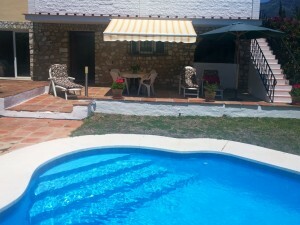 The property has a freeform heated pool which also has a separate Sauna, steam room and shower. There is a hot tub to the side of the pool. To entrance level there is a modern kitchen, a store room and utility room. A large light and airy lounge/dining room with fireplace and patio doors leading onto the wrap around, partially enclosed terrace. There is also a bar area and guest toilet on this level. Stairs give access to the lower level where there are 3 generous sized bedrooms, one smaller. The master has the benefit of an ensuite bathroom, whilst the others share the family bathroom. The garden is well laid out and is low maintenance. To the lower area of the plot there is an area suitable for a vegetable garden. The property has 2 entrances, one with large double garage whilst the top entrance benefits from automatic gates. A quality, well priced villa in a convenient location within walking distance of the beach and amenities. Detached Villa, Fuengirola, Costa del Sol. 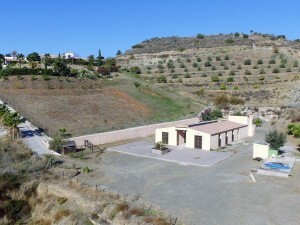 4 Bedrooms, 2.5 Bathrooms, Built 220 m2;, Garden/Plot 695 m2;. Features : Covered Terrace, Fitted Wardrobes, Near Transport, Private Terrace, ADSL / WIFI, Sauna, Storage Room, Utility Room, Ensuite Bathroom.